In 2016, 480 million plastic bottles were sold around the world, and less than half of this plastic waste was recycled. Most of the bottles we use end up in the ocean or in landfills, which creates a huge problem for the Earth’s major ecosystems. 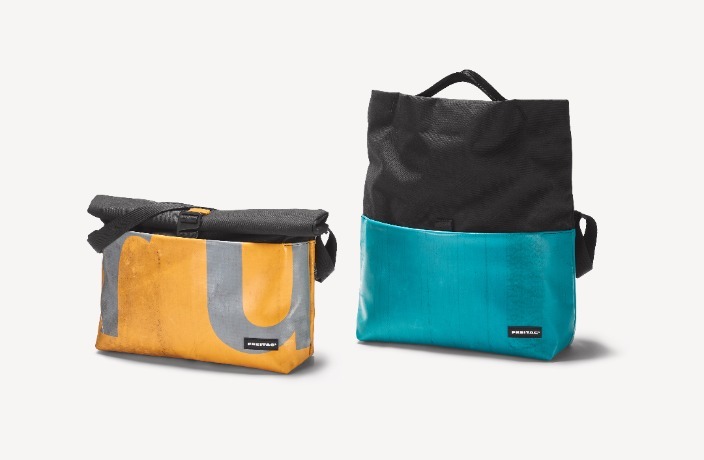 Just before Earth Day (April 22), Freitag – the Swiss brand famous for its bags made from used truck tarp – introduced a new Tarp on PET line that addresses the world’s plastic problem. In addition to tarpaulin, the items in the series feature textiles made from 100 percent recycled PET bottles, making them much lighter and softer than some of the brand’s previous creations. The new bags are available on Freitag's online store and at its offline retailers and resellers around the world.